Home » Gaming » Get Anime Games On the PS Store Now! Get Anime Games On the PS Store Now! If you’ve been tuning into PCU recently (especially on our YouTube channel), you’ll know that we’re really getting deeper into anime these days. One of the great things about anime, though, is that it doesn’t just stop at video content. For those of us who play our games on PlayStation devices, it’s now possible to get a really good selection of anime-styled games over on the United States version of the PlayStation store. 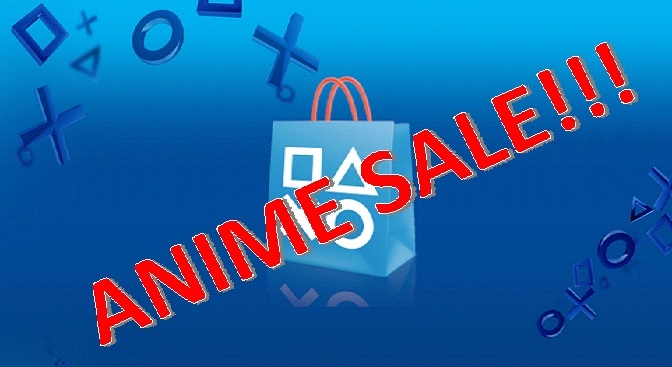 Sony is calling this event the Bandai Namco Play Anime Sale, and it’s available from through February 13th, and there are titles for both PS Vita and PS4. These are all based on (or inspired by) various anime (sorry, though, the sale doesn’t include Dragon Ball FighterZ). Not only can you get these games, but the sale is also including Season Passes and DLC packs for a few of these titles! If you want to see the full list of games, click here or head over to the PlayStation store. There’s also a bunch more that’s been discounted this week that’s NOT part of the Bandai Namco Play Anime Sale, so make sure you check out all of the available titles! Also, stay tuned to PCU for more fun gaming and anime stuff!